Our San Francisco civil attorneys and litigation lawyers are at home in the courtroom. We represent multi-national corporations, small and large businesses, insurance companies, public entities, and individuals in all manners of civil and commercial litigation in both state and federal courts. Our attorneys provide seasoned trial counsel, focused on our clients’ need for result-orientated, efficient, and cost-effective outcomes. We handle the defense and prosecution of disputes related to all of our primary practice areas. Scroll down to view a summary of our litigation practice. CWL is a powerhouse in the field of transportation litigation. Many of our San Francisco civil attorneys have more than 30 years of experience defending and prosecuting maritime and transportation cases. We regularly handle personal injury defense cases (including Jones Act, Longshore Act, travel-related and recreational injury claims), COGSA and cargo damage claims (by sea, air, or land), charter party disputes, insurance coverage disputes, vessel arrests, maritime lien and ship mortgage litigation, salvage claims, vessel collision and allision claims, marine construction defects, pollution and toxic tort claims, waterfront property disputes, marina liability disputes, Limitation of Liability Act claims, vessel and aircraft purchase agreement disputes, and enforcement of creditor’s rights in bankruptcies involving transportation-related assets. CWL is a full service financial sector law firm. We represent a multitude of banks, lenders, and creditors in litigation arising from various aspects of their business. We provide defense of Fair Debt Collection Practices Act claims, Truth in Lending Act claims, California Business and Professions Code violations, and other statutory and common law claims related to personal and business financing. Our litigation lawyers also assist banks and creditors in recovering loan collateral through litigation and pre-litigation procedures. We provide our clients with a full range of real estate litigation lawyers and arbitration services. We’ve successfully litigated disputes arising from commercial and residential property acquisitions, construction and design defects, commercial and residential leases (unlawful detainers and constructive eviction), easements, “takings” and eminent domain, environmental contamination of ground soil, and outdoor advertising. CWL is on the cutting edge of environmental litigation. Not only are we on call 24/7 for our clients that deal in petroleum products, but we are consistently up to date on the regulations applicable to marine, waterfront, and real property pollution. We have perfected creative methods of generating financing for our clients who face often expensive environmental cleanup obligations, such as “insurance archaeology.” Our environmental litigation cases have involved oil spills, groundwater contamination, solid waste pollution, construction-related contamination, toxic torts and environmental regulatory claims, and environmental-related contractual and indemnity disputes. Unlike most corporate law firms that focus solely on the transactional aspects of their clients’ businesses, our San Francisco litigation lawyers are able to back up client transactions in court. We’ve successfully represented clients in a range of sophisticated corporate litigation matters, such as restricting sales of corporations, resolving shareholder rights with respect to ownership of a major league baseball team, recovering assets of a corporation that were included in a corporate acquisition but not sufficiently transferred, preventing a hostile buyout of a minority shareholder in a successful startup, and piercing the corporate veil against negligent and grossly negligent directors and officers. 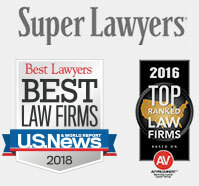 The high volume of litigation and arbitration matters we handle at CWL has given us experience with cases involving unique causes of action and procedures. For example, we have represented secured creditors in bankruptcy proceedings (having successfully lifted stay after the longest trial in the Northern District of California Bankruptcy Court’s history), we have defended and prosecuted Civil RICO claims brought against individuals and corporations for serial breaches of contract and other patterns of disruptive business activities, and we have successfully defended clients in Asia and the UK in international arbitrations involving conflicts of law issues. If you are faced with an international (or domestic) arbitration or a Civil RICO allegation, our San Francisco civil attorneys can assist you in evaluating and resolving your case in the most efficient and effective manner.